Upgrade to a PRO account! Get a 360Cities PRO Account! The 360Cities PRO account is designed for professionals and companies who want to use 360Cities for promoting their business with panoramic photography while enjoying premium features. Compare to our other plans. Millions of people visit 360cities.net to view panoramas every month. We make sure that people actually see your work. And while we're at it, we also help you earn money from all these visits: with our PRO account you get to keep the ad revenue from your pages. We understand that for our PRO members, every little thing helps to make a good impression. When you showcase your work to an important customer, when you're closing a sale, or when you simply want to impress people with your work, you want their full, undivided attention on your images. So that's why we've given our PRO account holders the option to turn off all ads on their image and profile pages. All PRO account holders with a reviewed account can appear in our "Find a 360° Creator" section on our site. The cost of embedding of individual panoramas is included in the PRO membership for panoramas you would like to embed in your clients' websites. You’ll enjoy the PRO embed which means that your embedded panoramas won’t show ads or thumbnails and arrows pointing to nearby panoramas. Only PRO accounts can publish panoramas intended to promote businesses. These panoramas appear on 360cities.net and can be selected for the Photos layer in Google Earth and the Oculus 360 Photos app. 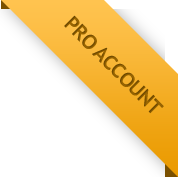 With a PRO account you can use your business name as your account name. Your account name is the name that appears on 360Cities and in your panos as your photographer's credit. Basic accounts must be use their real name only. Retrieve your original panoramas in case you lose them. We keep the secure backups for all accounts but due to support, work and administration costs needed to retrieve the files we allow only PRO accounts to restore their files from our backups. Add your Tracking ID start getting the stats of your panorama pages in your Google Analytics account. Download a .csv file with all the info about your panoramas. If you're a PRO, we'll review all your uploaded panos within five days and give them priority in the publishing queue for 360cities.net and the Google Earth photo layer. You can view any of your panoramas on 360cities.net in the Portfolio View Mode which only shows arrow hotspots and thumbnail images pointing to your own panoramas. Share this view with others! It's a great way to send a panorama to your friends or colleagues or to show your portfolio. PRO members can, if they choose, publish panoramas that do not qualify for the 360Cities public content layer. They will not appear in our map, search results, or nearby panoramas, but they will have their own URL which you can share with others. PROs can mark any images as 'Unlisted', which means they will not appear in our map, search results, nearby panoramas, RSS, or profile. You can still share a link to the panorama with others. Special version of panorama page that doesn't have links to nearby or other photographers’ panoramas or any advertising. Still not convinced? Look at our Plans & Pricing and FAQ.